So Ruby update first, more insulation and plywood has gone in as well as some of the flooring, the bed frame and some of the framing for the second pull out sofa bed below. Bespoke frames for the water tanks have also been made and will sit beneath the truck. Further planning of the electrical set up has been fairly arduous, going back and forth (again) about installing 240v, or 12v or 24v or all of the above and what this means for battery power, how this will function while on the road or connected to an electrical hookup, or not connected at all, in essence coming up with an electrical plan for the truck that will function come rain or shine is not an easy task and I will confirm the final set up once it has been finalised with the clever solar and electrically minded dude ‘Tony the solar guy’. One of the biggest issue’s now is keeping the truck under it’s weight limit of 7.5 tonne with passengers, fuel, water tank and possessions included. Having a good battery set up means additional weight and a bespoke cradle is being made specifically to house the 300kg worth of batteries alone under the truck (with an access hatch through the floor). With the truck’s unladen weight coming in at roughly between 3.5 – 4 tonne, this only gives about 3.5- 4 tonne payload to play with which is going to be tight with the solar panels and drop down decking at the back. Despite the technical limitations needing me to make practical decisions, I can’t always be purely practical, where is the fun in that? I am known to like looking at beautiful arty things, or things with a history and the truck is no different (she says as she plans to hang her 1 metre x 1 metre graffiti wall art in the only space available in the truck). This is a way of introducing what may be my next purchase for the truck, a beautifully refurbished antique french wood stove which brings Ruby’s beautiful exterior colour to the inside. This wood stove was made in 1925 and is just shy of a 100 years old, it has been beautifully restored to it’s former glory and is known to be quite energy efficient, keeping the heat in throughout the night, and allowing you to cook off the top of the stove over the fire directly should you wish. These burners are becoming rare these days and are known for retaining their value, and of course, are very pretty to look at, so there, my first (second) guilty pleasure in the truck. I found myself in a very fortunate position this week to be given the opportunity of not only one but two possible sites for the EarthKeepers project. This would not have been possible without networking with like minded people in various online communities. It got me thinking about the words ‘online’ and ‘community’ in one sense feeling like it is an oxymoron as you don’t necessarily get a feeling of community when being online, you generally are online on your own, viewing the internet world through your virtual spectacles which in some ways can be very isolating. An article I came across not long ago suggested that young people are actually the loneliest age group overall (https://www.independent.co.uk/life-style/health-and-families/features/the-loneliness-epidemic-more-connected-than-ever-but-feeling-more-alone-10143206.html). It stated that up to 80% of adolescents report feelings of loneliness often which is compared to between 40-50% in an elderly population. I have my suspicions that it has something to do with the virtual world we have created around us and the constant need to be connected to it in some way, particularly the younger generation, either by phone, our TV’s, our laptops, our games consoles, our tablets, our digital advertising boards, you name it, there is a screen for it. What this means is that our minds struggle to take breaks to just think for ourselves and reflect on how we feel about certain things, we are constantly being fed that we are not good enough through advertising campaigns, being shown that we could be better if we buy this and that product, which in turn has an impact on self esteem on a subconscious level. Young people in particular are affected simply due to the life stage that they are at and how their brain is developing thus making them especially sensitive to that message. Not to mention that you are more likely to be a victim of online bullying or internet trolling due to that physical connection to a person being severed by our online presence. 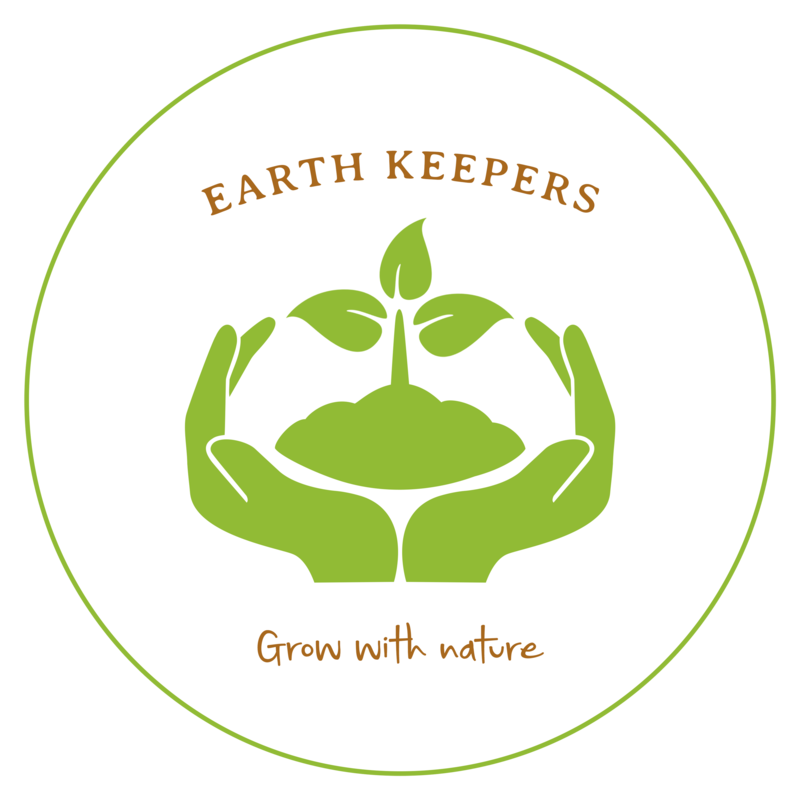 Having said that, I started out by saying how lucky EarthKeepers is in being able to connect with people, and begin to build it’s community from the bottom up, using the virtual world as a tool to do so. The project will bring together animals and plants who will become the teachers for the next generation, with a little sprinkling of human facilitation. We have so much information at our finger tips and people are more connected than ever before which can also be very much a good thing. I have met many people through connecting online, including the creator of Ruby, friends I have shared interests with, as well as potential collaborators to the project, and of course being able to stay connected with family and friends at the touch of a button. Greta is making it her sole purpose to change the minds of world leaders to recognise climate change and take drastic measures to save our planet and live in harmony with it, and what a powerful speech it was. However remember that her message would not have reached so many people, without our technological gadgets to help her get there, so perhaps we shouldn’t choose one or the other, but somewhere in between. What will you do to live a more balanced life?